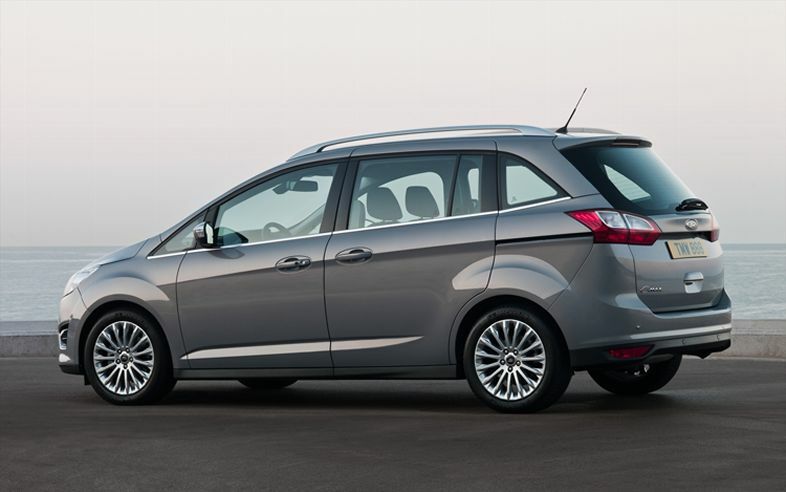 The Grand C-Max is the third and newest seven seater option from Ford. It is smaller than the S-Max and also cheaper and competes admirably with such favourites as the Vauxhall Zafira and Mazda 5. It also introduces a number of innovative and useful features. The Sliding rear door makes getting the kids in and out in tight parking spaces much easier than with conventional opening doors. Particularly if you have a baby seat and you want to take out and carry the baby in it. You almost start to wonder why more manufacturers haven’t started to adopt this style of door. 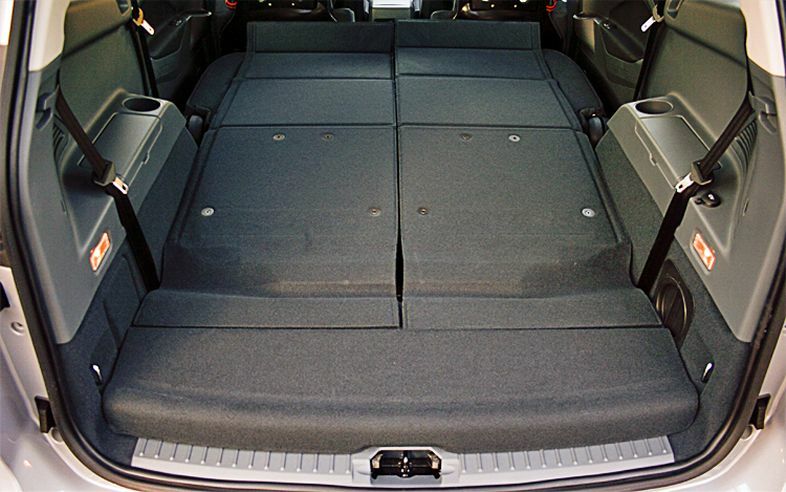 The other innovative feature of this car is what Ford call the “Walk-through layout” which they have designed to make it easier to access the rearmost seats. This system folds the middle seat into the right hand seat leaving a floor level walk way to access the seats in the boot unlike most seven seaters which would need one of the seats nearest the doors to move forwards to access the boot seats. The real benefit of this is that you can have child seats fitted to the two middle row door seats (which both have ISOFIX fittings) and not have to move them. The down side to this is that you lose a seat so effectively you are turning the Grand C-Max into a six seater. However this is indicative of the flexibility of this car in that there are many seat configurations so that you can use this car as it best suits you as a family. Ford really seem to have thought about ways to make peoples lives easier with this car. Another simple but useful feature of the Grand C-Max is the power operated boot which you can open from the keyfob, boot handle or centre console which makes life easier if you’re carrying a baby or shopping. The Ford Grand C-Max gained the maximum 5 star rating in the Euro NCAP tests giving excellent protection to both Adult and Child occupants. There are of course plenty of airbags for both front seat passnegers and rear seat passengers. But in addition to this there is a collapsible steering column to protect the driver and the pedals also collapse away. Ford call this Pedal Intrusion Prevention System or PIPS. You also get Electronic Stability Programme with Traction Control to help in slippery conditions and stop the wheel slipping and a host of other features which help in an emergency stop situation such as Emergency Brake Lights which flash the brake lights to warn other motorists. The Emergency Brake Assist will automatically apply more brake pressure if the system senses that the driver has not applied enough. With all these innovative safety features there can be little surprise that the Grand C-Max should score very highly on safety. Ford are adept at giving buyers a lot of options when it comes to engines on all their models and the Grand C-Max is no exception. There are petrol and diesel options which provide fuel economy and performance well matched to the size of car. Amongst the petrol engines the 1.6 litre 150 Ecoboost is an excellent contender. It powers the car to 60 mph in just under 10 seconds, achieves a top speed of 126 mph yet returns a respectable 42.8 mpg. Turning to the Diesel options the 2.0 TDCi 140 engine is good option with very similar performance figures to the petrol engine. You get 0-60 in 10.1 seconds a top speed of 124 mph but gain over 10 miles per gallon with this engine delivering a very healthy 53.3 mpg. This car is a pleasure to drive. It feels light and responsive and grips the road. It is a reasonably firm ride a you experience very little body roll as you take on corners. This is a compact MPV and as such the driving height is not as high as some large MPVs but that helps it feel more like a car to drive and don’t worry you still get a good view of the road through its’ large windscreen. 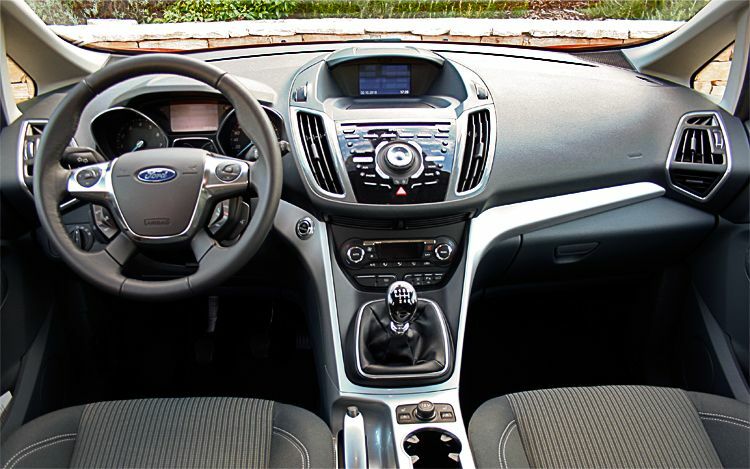 Ford have introduced some very modern interiors to their cars in recent years and the Grand C-Max has a great feel with plenty of chrome and using quality materials. This is a comfortable car for both school runs and longer journeys. It doesn’t have the space of either the S-Max or the Galaxy but does provide a comfortable journey for all passengers. It should be pointed out that the middle seat in the rear is not a full size seat and not as comfortable for longer journeys. The seats in the boot are also really suitable for children or for use by adults on shorter journeys are the leg room is not generous for larger passengers. Owners reported some reliability concerns with the original C-Max. However Ford does seem to have improved matters with the new models and whilst it is too early to tell longer term how the Grand C-Max fares in this category early signs are very positive. This is another excellent seven seater MPV from Ford which completes the range of choice from large to compact. It is innovative and stylish and scores very highly on safety and practicality. Two of the key areas for this class of vehicle. If you are looking for a compact MPV that provides plenty of flexibility then the Grand C-Max is definitely worth a test drive.